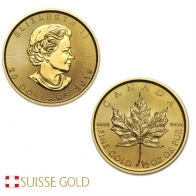 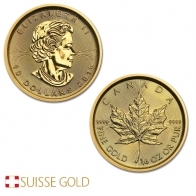 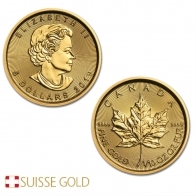 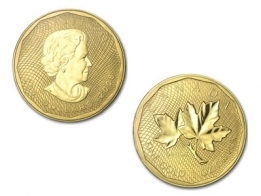 Buy the gold Maple Leaf coin, produced by the Royal Canadian Mint. 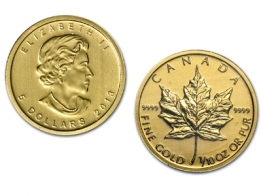 Gold Maple Leaf coins are available both in current year and back year versions, and are available in 1/10 oz, 1/4 oz, 1/2 oz and 1 oz denominations. 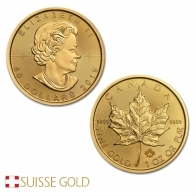 The gold Maple Leaf is one of the most popular gold coins amongst gold investors, due to their low premium and high popularity. 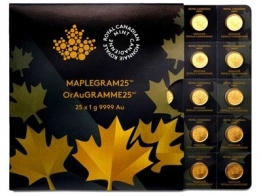 The Royal Canadian Mint also produce the Maple Leaf coin in silver, platinum and palladium. 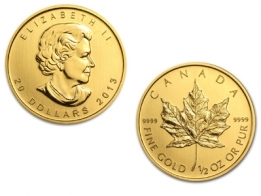 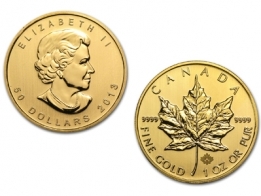 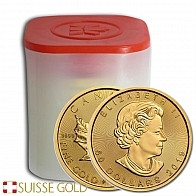 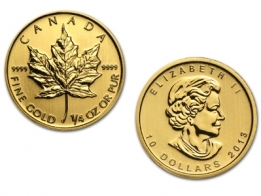 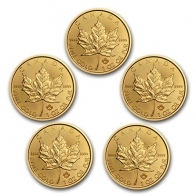 Gold Maple Leaf coins are available for world wide delivery or for storage in our vaults.